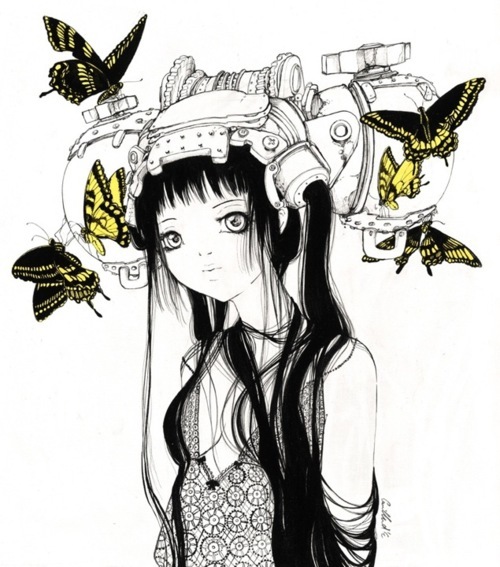 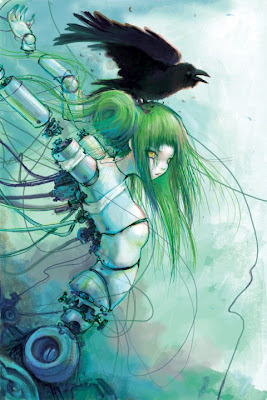 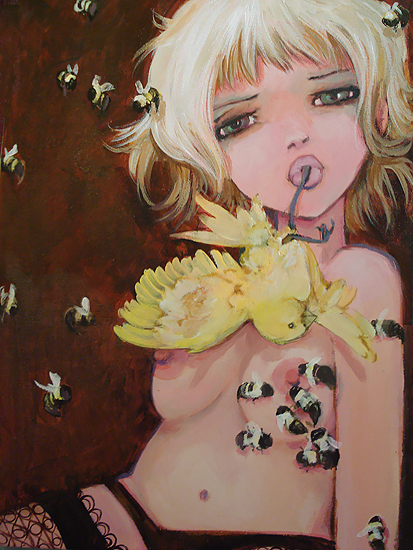 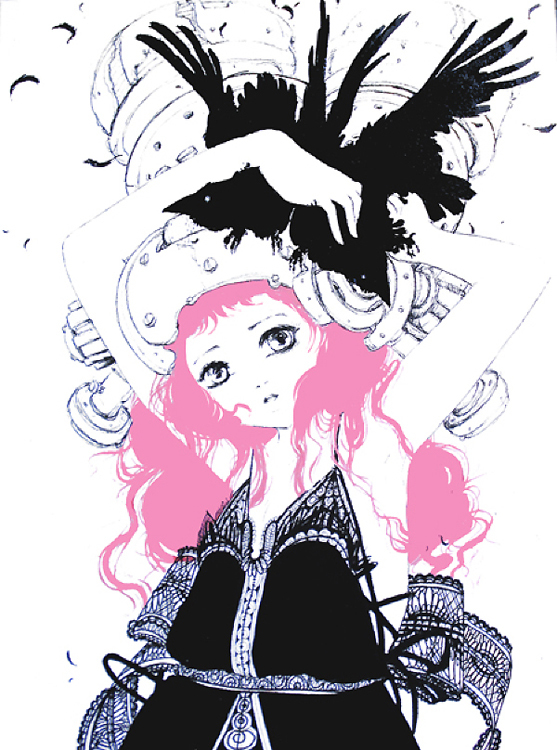 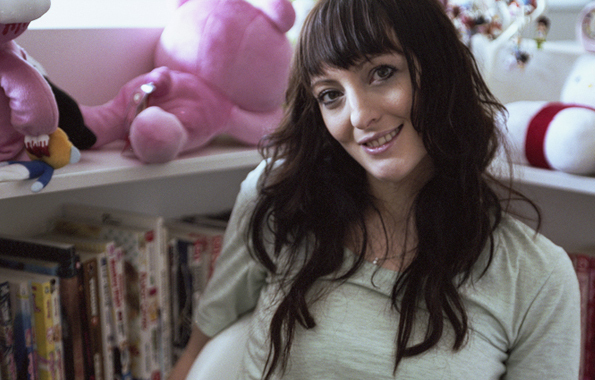 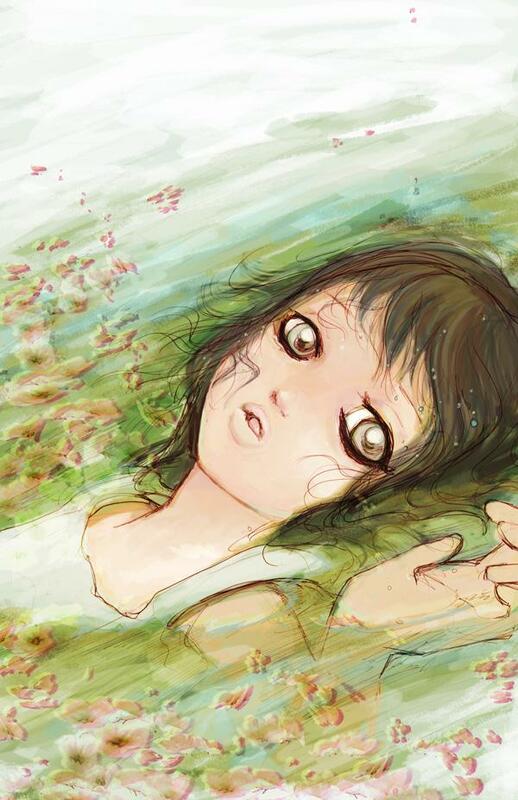 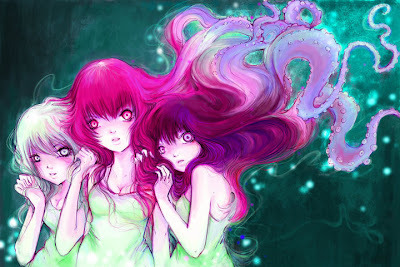 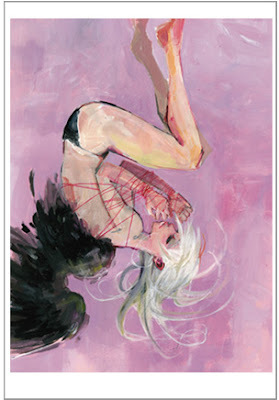 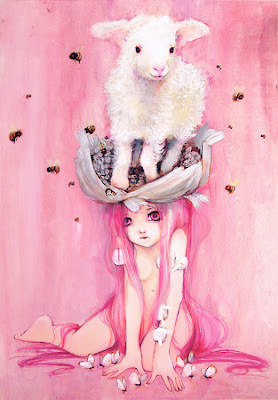 Vancouver based artist Camilla d'Errico is definitely a product of her childhood environment. 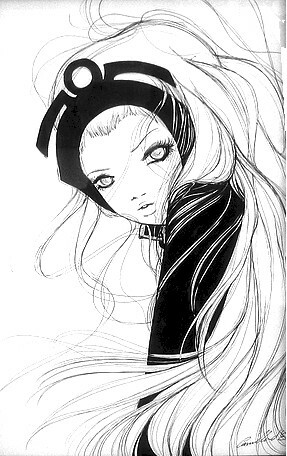 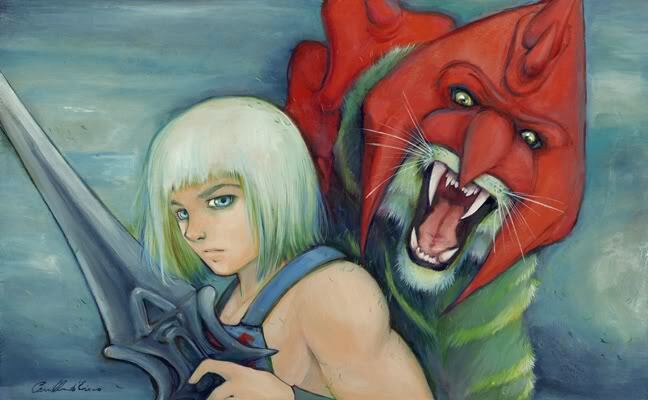 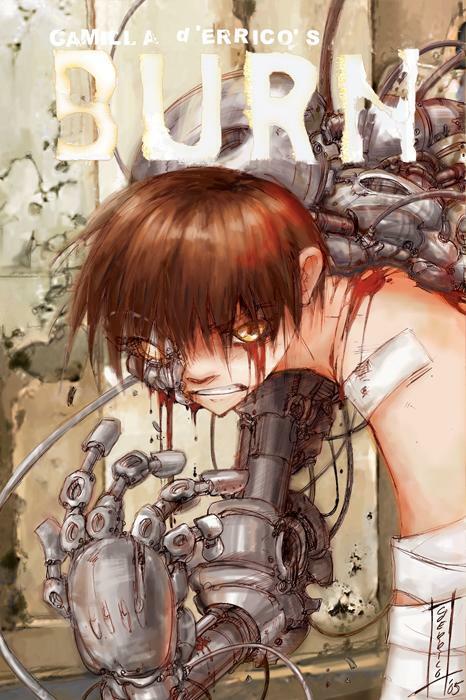 A steady diet of cartoons, manga, anime and comics helped give birth and continue to feed d'Errico's creative mind. 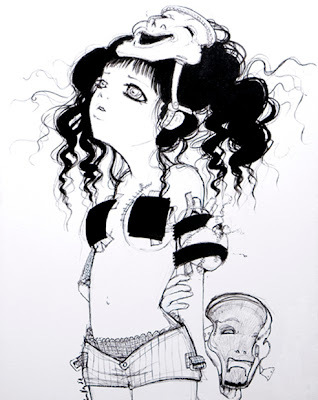 Her paintings and drawings at initial glance seem sweet and tender but all one has to do is look into the wide eyes of her creations to know that beneath the pastel fluff lies dark mysteries.